The Theofilos (ex-Nils Holgersson (1975), Abel Tasman) has had a couple of “interesting” incidents during her career, one of which was a quite spectacular collision with the quayside at Chios not long after entering service with NEL, in July 1995 – note the truck crushed beneath her bows in this picture. 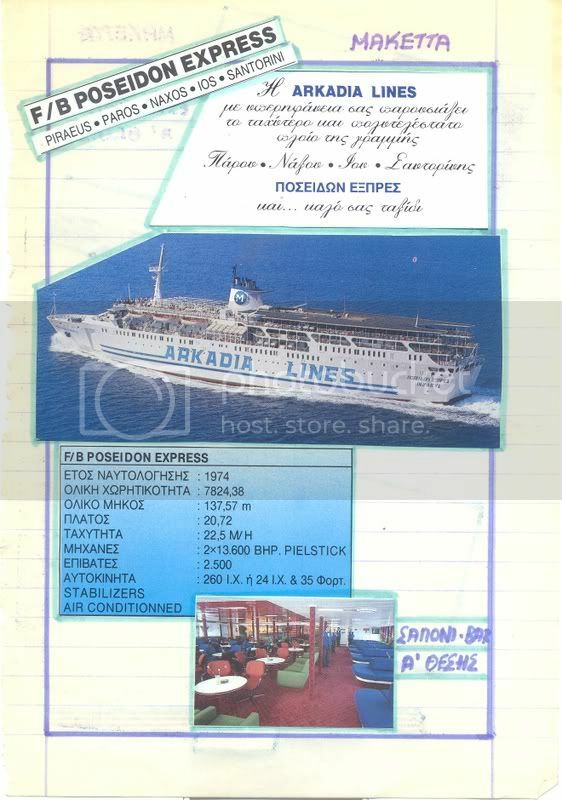 Displaced from NEL’s main Piraeus-Chios-Mytilene route some time ago, in the Summer of 2010 this splendid veteran has again been travelling the more distant routes of the North Aegean. The crowded quayside at Paros has seen more than a few dramas over the years, most notably of course the loss off the port of the Express Samina. 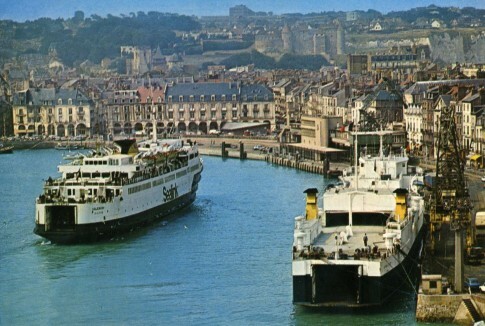 Meanwhile, the non-fatal sinking whilst adjacent to the quay of the Poseidon Express (ex-Provence) was the result of evasive action taken to avoid the Naias Express (ex-Ailsa Princess). Slightly less dramatic was an August 1989 incident where the stern ramp of the manoeuvring Georgios Express (ex-Roi Baudouin) pierced the stern quarter of the Golden Vergina (ex-Corse, later Express Samina) – there is an interesting image here of the latter ship undergoing repairs following this incident (h/t nautilia). 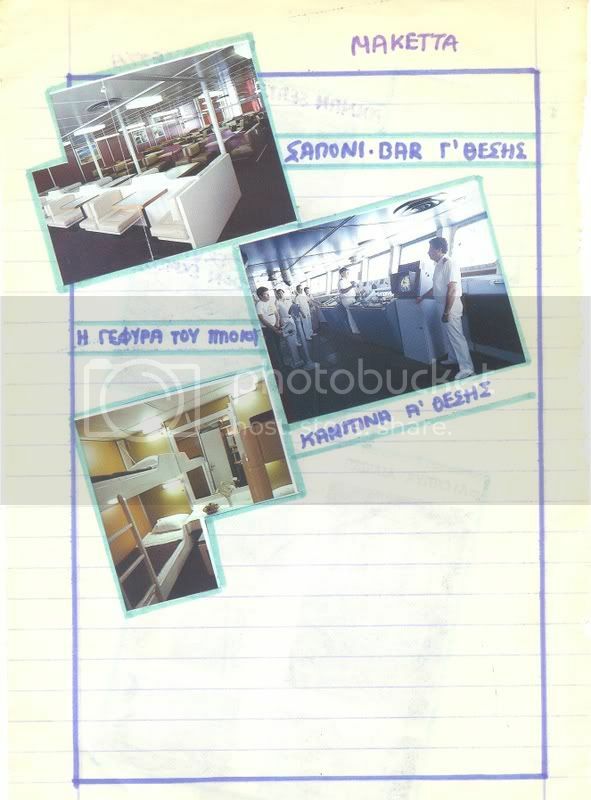 The Golden Vergina also features, along with other Greek favourites, in Ferries at Paros Port – sailing very close to the spot that what would, a few years later, become her final resting place. Mention of the Express Poseidon is a reminder that the Saint Eloi of ALA (now the Moby Love) was not the only ship for French owners whose delivery was disrupted by the bankruptcy of the shipyard in Pietra Ligure, the Provence being similarly affected. This picture shows the two ferries laid up awaiting completion. Where will the Blue Horizon’s travels take her next? 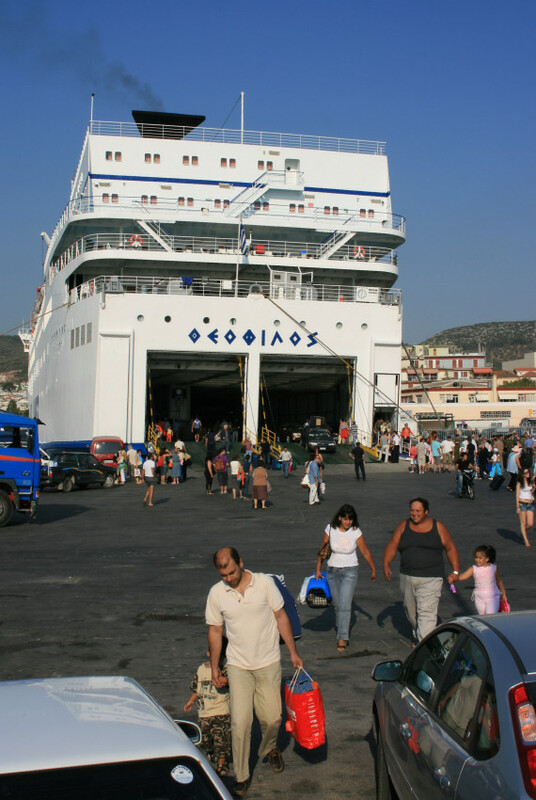 After being replaced on Adriatic routes by the new Superfast ro-paxes, she has spent this Summer on a new route from Piraeus to Chania – a move into ANEK territory. One wonders just how long this venture will last; Ellinkiatoploia have photographed her in their usual, top to bottom, style. There was discussion a few months ago about the Slavija I and her role in the Croatian war of independence. Her fleetmates were equally active and here is a picture of the Ilirija (ex-Bornholmerpiren) alongside a burning quayside during the conflict. The brief life of Seaspeed’s fast ferry service from Southampton to West Cowes on the Isle of Wight is documented on this link. At the mainland end of the connection the operation’s base was from a slipway just adjacent to the old Floating Bridge (replaced by the Itchin Bridge in 1977) – the Simplon website has an interesting series of photos of the Floating Bridge, including one with a Seaspeed craft sailing past. 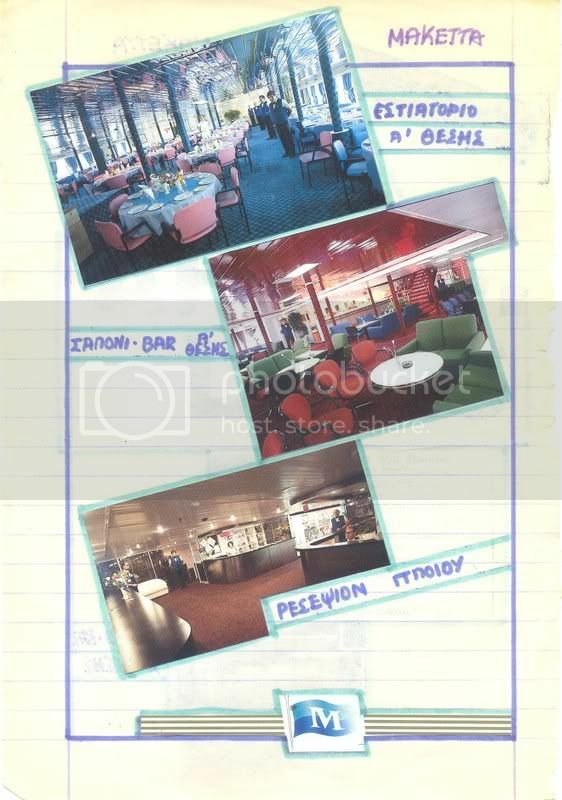 There is also a great image of the terminal on Ships Nostalgia (registration required). From above, the Southampton-end slipways of both operations remain clearly visible today – on this Google Maps link, click on the ‘Satellite’ tab and the green arrow indicates the Seaspeed slipway, with its Floating Bridge equivalent to the south of the Itchin Bridge, the adjacent street still called ‘Floating Bridge Road’. Whilst British Rail doubtless could see the hovercraft as ideal replacements for older passenger ferries, there is a certain irony that it was just upriver that the last of the trio of motor ships built for the Southern/BR after the war, the Southsea, spent her final days before going to Denmark to be demolished. Her death throes were spent at a scrapyard just beside the Northam Bridge and those who made the occasional pilgrimage there to see the old lady may be interested to know that another landmark adjacent to that bridge has met the same fate as the Southsea: the Northam TV studios have recently been demolished. Latterly used by Meridian TV but originally built by Southern Television in the 1960s there are some urbex pictures on this link. 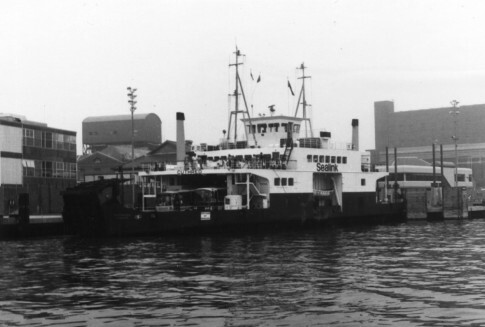 Sticking with cross-Solent hovercraft operations and there is a fascinating account of the fatal 1972 loss of Hovertravel’s SRN-6 012 on this link (try to ignore the atrocious musical accompaniment). The little ex-Sealink Isle of Wight ferry the Cuthred was the prototype for the later ‘C’ class of three ships which served the island for over 35 years. Having been replaced from her second career in Portugal by some all green newbuilds she remains laid up and some pictures of and on board the ship can be found here. The once rather charming Prins Filip of RMT/Oostende Lines has been somewhat obliterated over the years and, especially since the last LD Lines rebuild, I now find her a positively depressing ship to sail on. Step back in time then and board the ship in happier times by viewing this early safety video on youtube. Somewhat different in style, here is an old Buquebus safety film for passengers on their erstwhile Patricia Olivia from the Algeciras-Ceuta before the Spanish operation passed to Balearia. Buquebus retain their operations in South America and the Silvia Ana L, once used seasonally by Color Line, now has the company’s new livery. The Valencay and Capitaine Le Goff at Dieppe. The small ro-ro Capitaine Le Goff, bought off the stocks for use on the Dieppe-Newhaven route in the early 1970s, didn’t have a particularly successful career on La Manche but she carved out a useful second career as the Al Zaher II in the Red Sea. Unremarked upon, she passed for breaking by Rushil Industries in India in 2008 – this 2007 picture of her amongst familiar company at Jeddah was taken not long before the end. Here is a fascinating video from the early days of Baltic car ferries, with specifically interesting coverage of the brand new Nordia of 1962 and – a reminder of times when ex-UK tonnage headed east – a trip on the Turist Expressen (formerly Townsend’s Halladale) with the Viking (ex-Dinard) sailing past (h/t LandgÃ¥ngen). In Denmark an amazing collection of ship photographs from the the Frederiks Vaerk Museum of Industry’s collection has been posted online. Given the nature of the pictures and their source, there are plenty of udluftning but in many ways images of otherwise unseen and forgotten corners makes them more fascinating still, somehow capturing the everyday in a way that the more commonplace pictures of empty first class saloons sometimes cannot. The last-surviving of a series of four WÃ¤rtsilÃ¤-built car ferries of the late 1960s, the Freewinds (ex-Boheme) has become something of an international ship of mystery since becoming the Scientologists’ in-house cruise ship. Fakta om Fartyg takes us aboard the ship in something approaching original condition but compare that with the series of images on pages 6 and 7 of this edition of ISP magazine – as has been widely reported, the vessel has been thoroughly gutted inside. The heavy overhaul ISP’s Scotia Prince (ex-Stena Olympica) received after her winter layup is featured in the latest edition of the magazine. 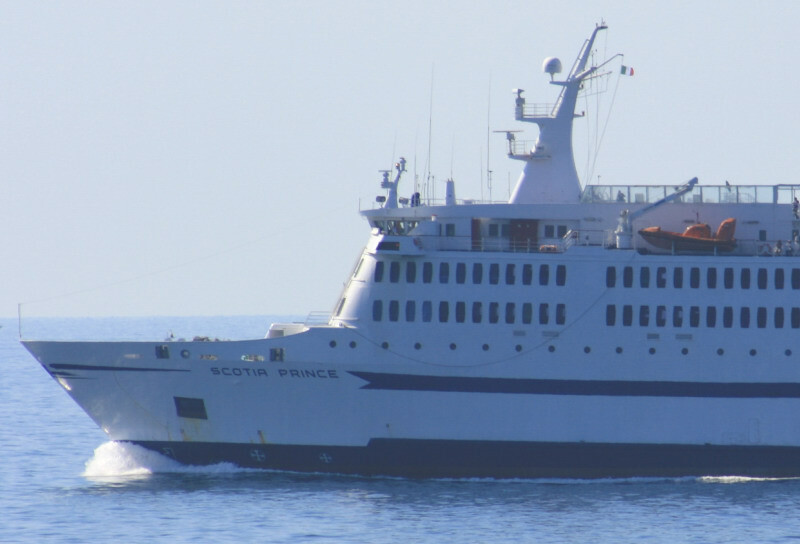 She was subsequently chartered by Marmara Lines and looked to be in fine fettle when I passed her storming northbound to Ancona in July – however, even though it was a sailing ‘against the season’, there was still a distinct lack of passengers crowding the decks. The amazing Aquarama was one of the most distinctive of North American ferries but her long life was almost exclusively spent laid up – after being converted into a passenger ship she operated only between 1956 and 1962. She finally passed for scrapping in 2007 and some fine hi-res images of her Aliaga demise can be found here – note the two ex-UK ships alongside her in the demolition process – the Giglio Espresso II (ex-Carisbrooke Castle) and Neptunia (ex-Darnia, Stena Topper). 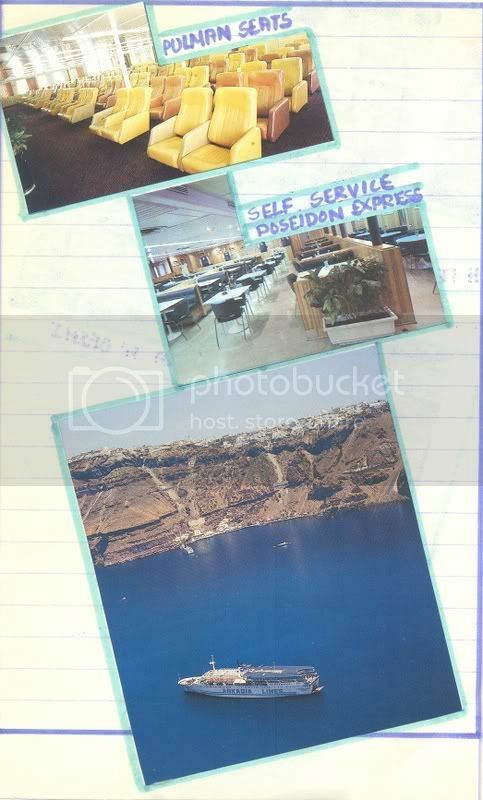 Although featuring nothing of the Aquarama, the website of her scrappers features a front of house image which includes the Volcan De Tacande (ex-Versailles, Stena Danica).